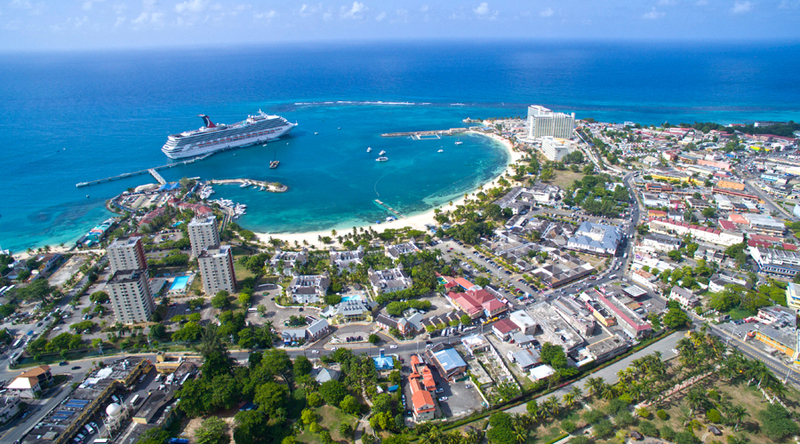 View our city travel guide for Ocho Rios. Learn more details about Ocho Rios. City history, attractions and tours. See all tours near the Ocho Rios area. Ocho Rios, or Ochee, is located on the beautiful North East side of the island and is situated near the Blue Mountains. Set on a hillside, very lush and beautiful with fantastic views of the bay, Ocho Rios has a lot to offer. Excellent beaches, accommodations, private villas and restaurants make it a place to be. A very popular cruise ship port with visitors arriving there almost every other day. Thousands come to visit the beautiful areas that are nearby, such as Dunn’s River Falls and Park, to Martha Brae River, to the beautiful Fern Gully area in the hills above Ocho Rios. Like shopping instead? There is a lot of Duty Free shops and many other great places to shop, including the local craft market. No trip is complete without a visit to the famous Dunn’s River Falls. Take a climb up a cascading waterfall, 600 feet to the top, led by excellent, experienced and competent guides. A spectacular experience not to be missed while visiting Ocho Rios. Contact us or visit our web site tour links for a full list of the different day tours and excursions we do in the Ocho Rios area. We’ll take you sight seeing to places and on tours that will let you experience more of the island than just the one area. There are lots of things to do in and around Ochee that are sure to leave you with fantastic stories and great memories of your vacation. You’ll enjoy your time with us!